Are You Ready for Frozen Surge? In a bizarre choice, Surge has decided to promote its slushie version with a campaign featuring the comic Pauly Shore. Though both Shore and Surge had their heyday in the ‘90s, casting the comedian is odd, not only because Shore’s career had pretty much fizzled out by the time Surge hit shelves in 1997, but also because Surge is trying to make a comeback, something Shore has failed to do on a number of occasion. Still, Pauly Shore aside (which is a good place to put him), if you’ve been looking to get a caffeine buzz and a brain freeze at the same time, all peppered with a healthy dose of nostalgia, getting a Frozen Surge at Burger King sounds like a perfectly acceptable way to cover all your bases. 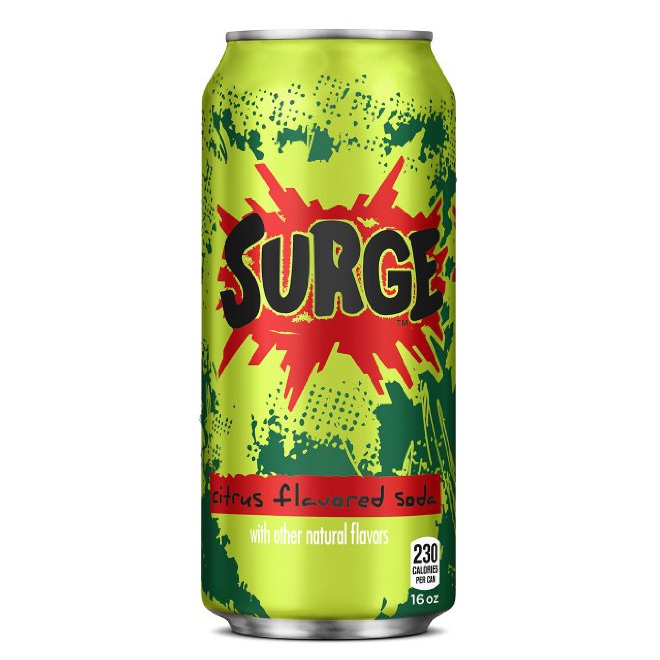 Then again, if you were a fan of Surge the first time around, that means you’re probably hovering around your early 30s right now, meaning if you do find yourself rushing to Burger King to get a Surge slushie, you may want to sit back down and take a long look at your list of priorities.